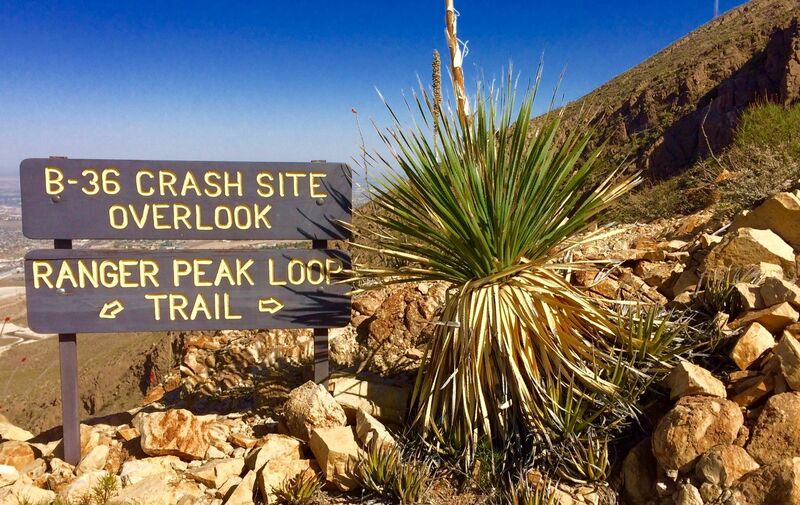 Wyler Arial Tramway form Trans-Franklin Mountains South is a 4.9 mile moderately trafficked out and back trail located near El Paso, Texas that offers scenic views and is only recommended for very experienced adventurers. 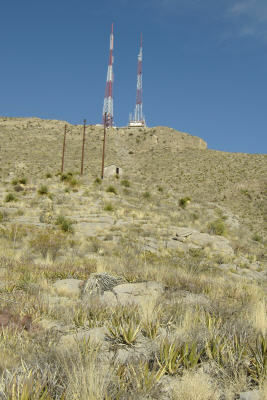 The trail is primarily used for hiking, walking, nature trips, and birding and is accessible year-round. Dogs are also able to use this trail. 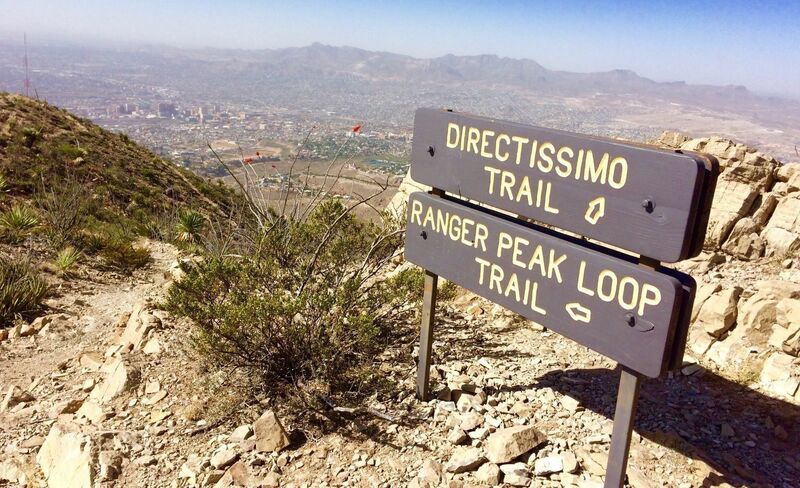 Hike from N. Stanton St to the Wyler Aerial Tramway parking lot over the ridge. From the parking area, climb the trail to the water tank. Follow the trail east from the tank and up hill. 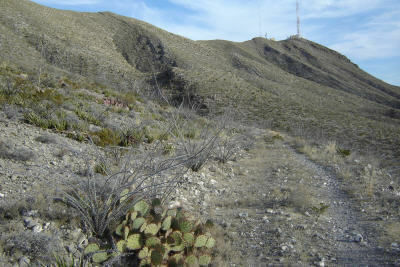 The trail will turn right around the arroyo, then right again and downhill. The trail will continue on the road around a left curve. DO NOT take the trail going uphill to the poles. At a 4 way intersection at 0.8 miles look for a narrow trail on the left that proceeds straight up the spur to a rock house far up the spur. Follow that trail up to the rock house. At the rock house, go to the left around the rock house, then find the trail continuing up the spur. At 1.45 miles you come to a fork joining the Wyler Ridgeline Trail #1. Take the fork left (north) and continue climbing the ridge. At 1.90 miles you reach the B-36 Overlook. Look into the arroyo to the NW to see the wreckage. At 2.0 miles you reach the ridge. 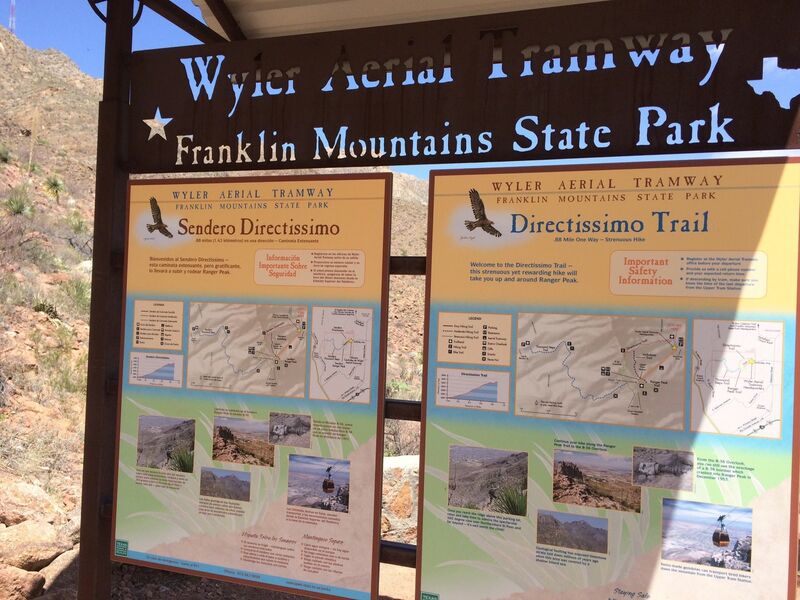 Follow the main trail down the east-side spur to the Wyler Aerial Tramway parking lot. Return via reverse route. From the junction of US-54 and I-10 go west on I-10 until it curves right (north). Continue north on I-10 until you reach Executive Center Blvd and exit right. Continue on Executive Center Blvd to Mesa St and turn right. Turn left (east) on Brentwood Ave and go all the way up until it ends at Stanton St. Turn left and follow Stanton St to the parking lot on the top. Walk up the paved road up the hill to the trailhead. Easy hiking and great views!! We just did the downhill, rode the tramway to the top. We did it in Jun on what turned out to be one of the hottest days of summer. We would recommend doing this one on a cooler day. This is not an easy trail, and the section down the east side from the ridge to the Wyler Aerial Tramway parking lot is the most difficult. 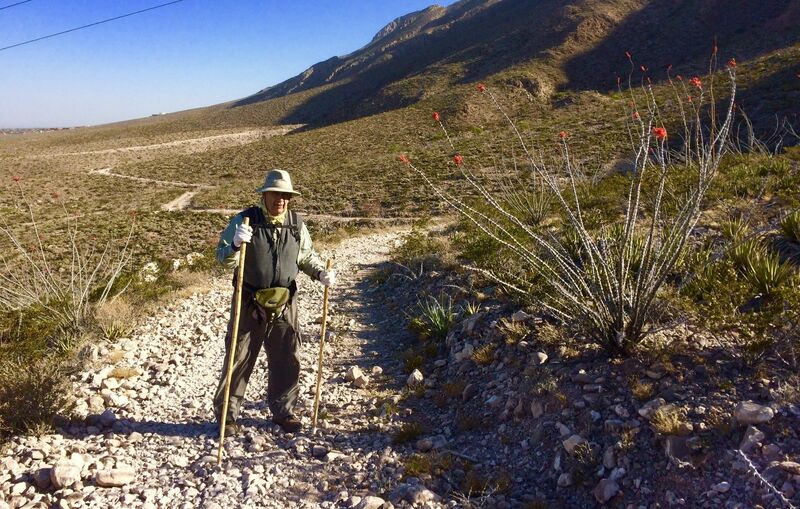 You have to move down slowly, but If you like hiking, you will have a good time. 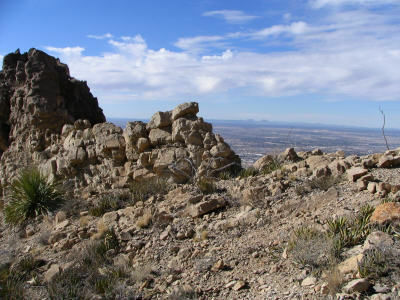 When you are at the top of the ridge, the beautiful view of the west and east of El Paso makes you forget the difficult hike. Sit for a moment on a bench to enjoy the view. This hike is right behind where I live so it's pretty accessible for me. It's a nice part of the Franklins that's doesn't really receive too much attention; which I like. It's quite beautiful in the Fall after we've received rain. The trail can also be accessed from the Palisades entrance which makes the hike a bit longer but it's a beautiful hike. Watch out for bicyclists, especially when coming from SE trailhead. The ridge is also a great place for harvest moon or full moon viewing.